The PLASTIC MUSHROOM STYLE TANK VENT CAP, or tank breather cap, keeps out debris, insects, seeds, and rain while allowing tanks to properly vent. All plastic construction is corrosion proof. 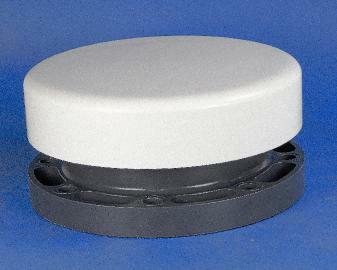 VENT CAP WITH FLANGE MOUNT for large tanks. Screen is perforated PVC with 1/8″ holes – 40% open area. This unit is a low profile with oeveral height only 6 inches. 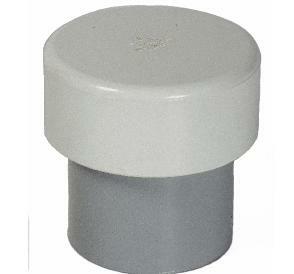 TALL VENT CAP made to our customer’s specifications. The intent was to prevent sloshing in vehicles. 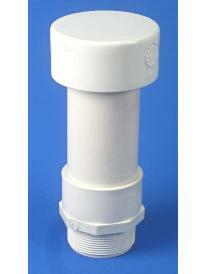 VENT CAP with a built-in check valve to control air flow in one direction. 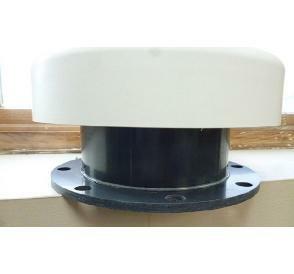 VENT CAP with a custom machined flange on our CNC machine. (Braylock mounting-hole pattern).